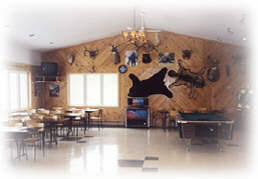 LODGE & CABINS - Our Lodge and fully licensed Lounge is spacious, modern, comfortable and accommodates 80 people. 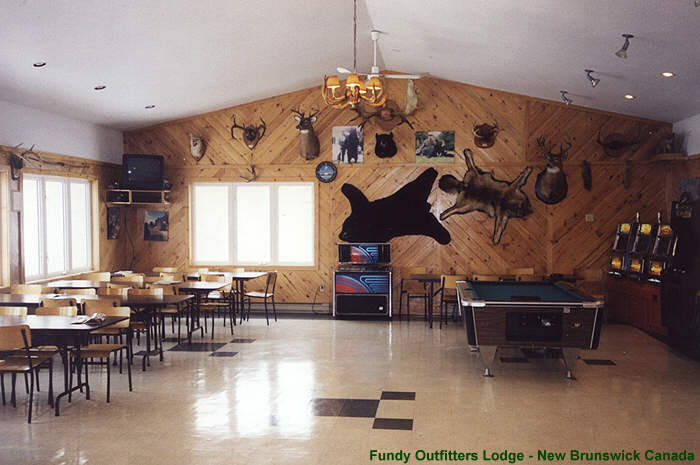 Off season, these year-round facilities are ideal for wedding receptions, reunions, anniversary parties, birthdays etc. 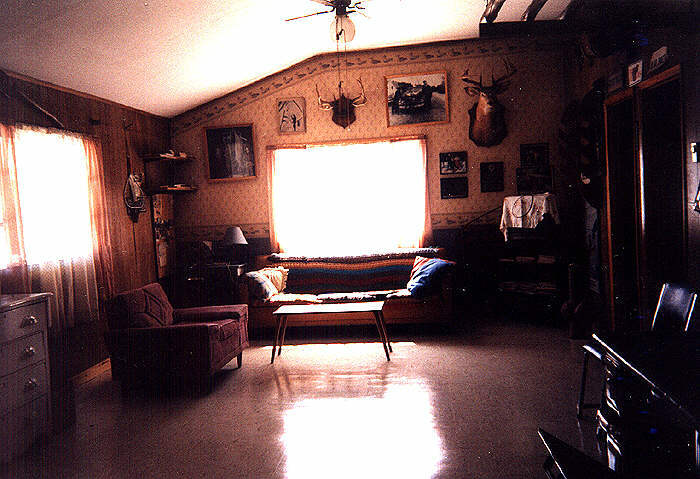 The Lodge is wheelchair accessible. 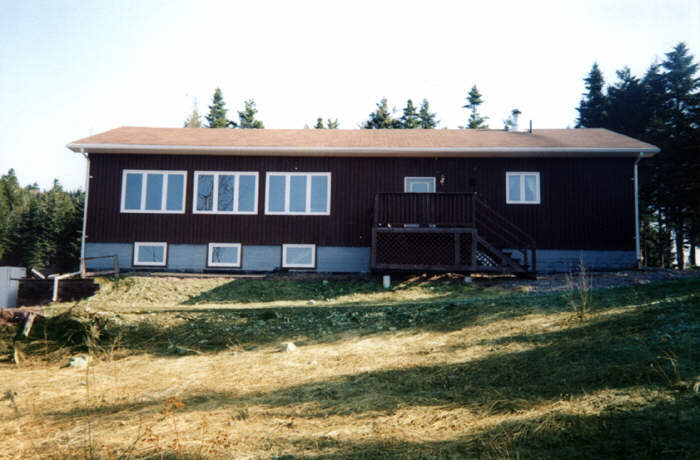 From the Lodge, located just 2 Km from the quaint Village of Alma and 5 Km (3 miles) from the beautiful Fundy National Park and Hopewell Rocks, you can relax and enjoy a panoramic view of the rugged Fundy Coast. 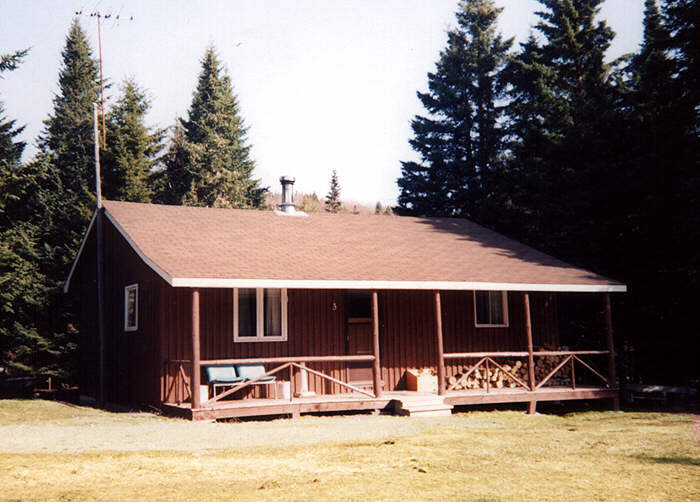 Our four cabins are modern, fully equipped housekeeping units. 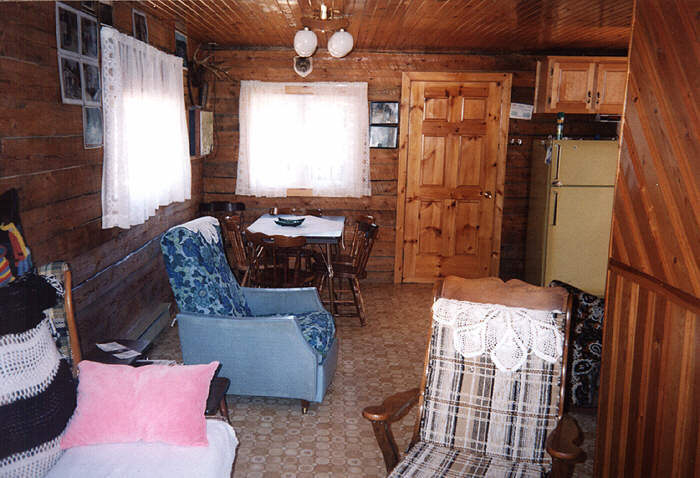 Each unit has electricity, flush toilet with shower, hot & cold water, electric fridge & stove and television. 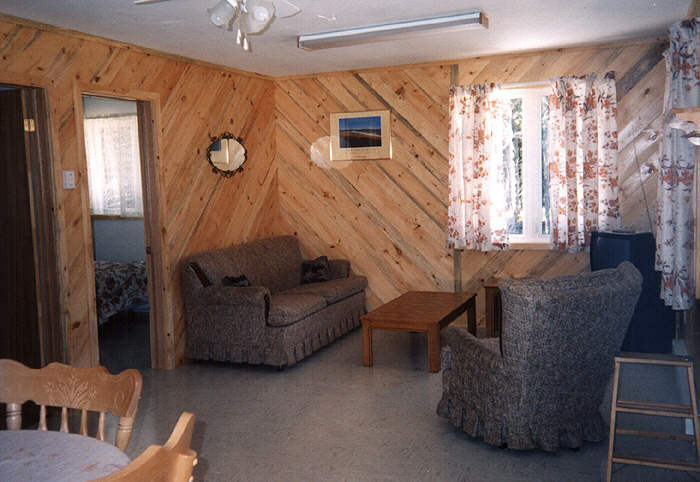 All cabins can accommodate from 4 to 6 adult guests and have three bedrooms - some rooms have bunk beds, some have two single beds and each cabin has one room containing a double bed. 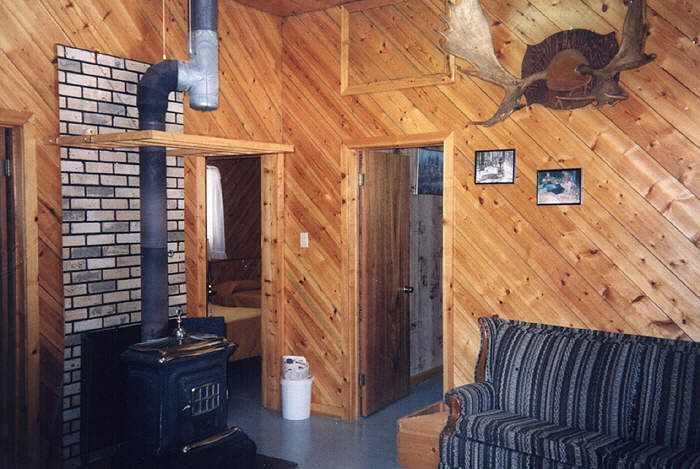 These 3-Star rated cabins are heated by electricity and some units contain a wood heater for atmosphere or back-up heating. 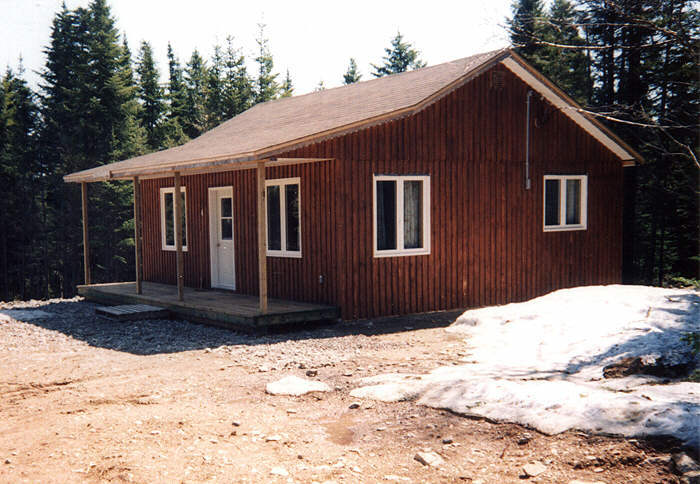 The cabins are also available for Bear, Deer, Grouse and Waterfowl hunting in season. 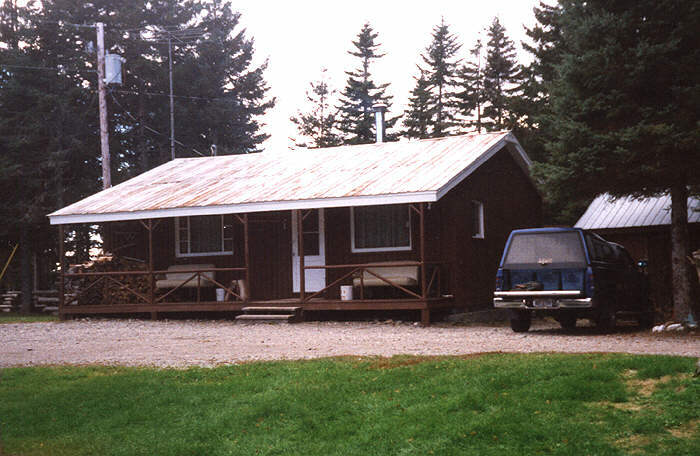 The lodge and cabins are located in an old homestead area. 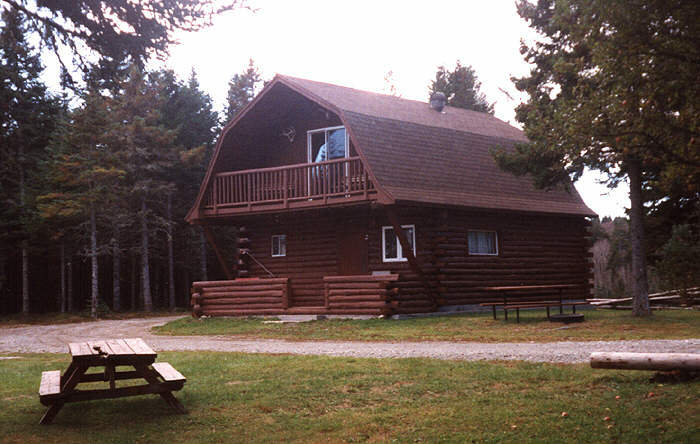 You can experience and enjoy snowmobiling, cross-country skiing or snowshoeing, fishing and hiking - or just take the time to relax in the wonderous and quiet world of the New Brunswick outdoors, sitting in front of a crackling fire, and enjoying our warm hospitality. special occasions ie" weddings, parties etc..
* Hospitality - second to none! * We are open all year round! * Lots to do or time to just relax - your choice! Copyright � 2019 by Fundy Outfitters. All rights reserved.